1912, J.S. Forbes Sandhaven N.B., Scotland. 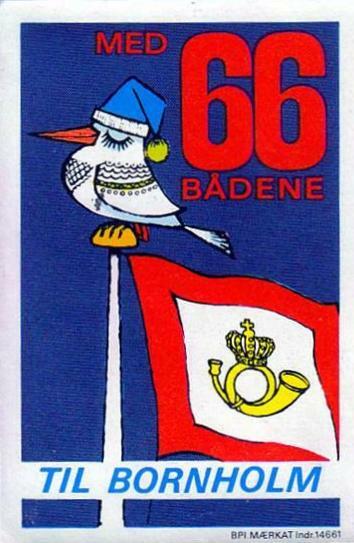 Danish certificates for 98 passengers in summer (previously 142) and 67 in winter up to 5 nm from shore and 15 nm from port. As cargo ship she can go up to 20 nm from coastline. 10 knots on 35-40 litres/hour. 1-cyl Hatz ES9 powers a Desmi pump for emergency use as well as fire hydrants. In a separate compartment in the fore is another Hatz ES9 for the engine room sprinkler (system new 1999). Aft deckhouse contains wheelhouse, a small galley and a messroom in original condition. Fore deck house contains a saloon for about 20 seated, as well as the WC.Below deck is the large engine room with workbenches. The furnace is connected to a heat exchanger and provides heating in saloon. Fore of engine room is a large saloon and stores. "Chimera" has a fascinating history. Originally built as a steam yacht, the buyer passed away before completion. She has later been in use as a training vessel and pilot in the Bristol channel. 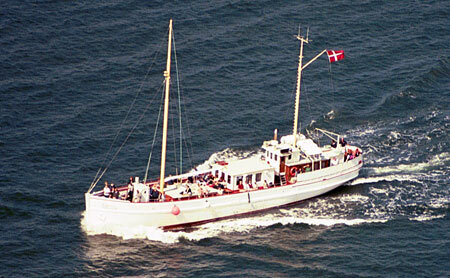 For over sixty years, "Chimera" has been transporting cargo and passengers between Gudhjem on Bornholm andthe island of Christiansø. Today a new build has replaced her on that trade and she is now mostly used for charter and fishing trips. The "Chimera" is in very good condition. The owners have invested much money and work in maintenance and upgrading. Not long ago, a new oak keel, with sturdy steel girders on both sides, was fitted. Deck was renewed in October 2003. New stern 1995 covered with thick stainless steel plates. This vessel is ideal for conversion into sailing ship. We have found documentation stating she was once galleon rigged, but no drawings or Foto's have been found to prove it. Caterpillar 3408, 240 kW, Twin-Disc MG 514 C gearbox reduction 3.5:1. Engine and gearbox new 1987 with 9400 total running hours. Engine overhauled 2003 with 700 hours since. New four-blade bronze propeller. Powerful fan running on M/E keeps keel dry. Engine heated by furnace. Larch on oak frames, iroko deck, teak deckhouse. Aluminium masts (new 1991).